When my husband mentioned he'd like to try running a 10K race, I feigned nonchalance in hopes that my overeager excitement would not deter him. I'm certain my giddiness was thinly veiled. Within minutes, I had Googled and emailed him the link to register for the 2016 Boston Athletic Association 10K on June 26, 2016. I avoid the really, really big races. I am drawn to the community atmosphere of small events. The logistics are usually easy, the price tag tends to be cheaper, and there is sometimes a chance I will place among women in the race. I am SO not above signing up for tiny races so that I might win a prize. Signing up for a very official and very serious race with a $48,500 prize purse felt intense and also exhilarating. 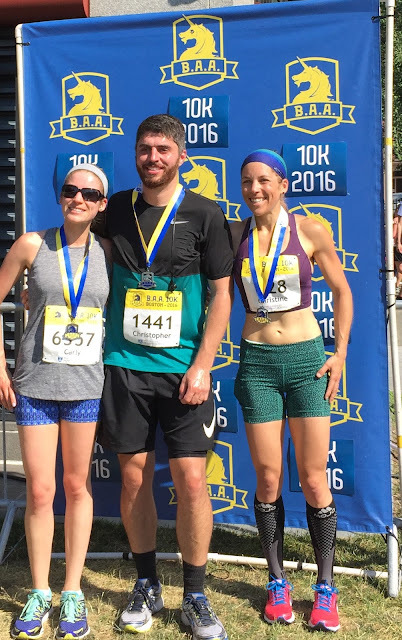 The Boston Athletic Association is the organization behind the famed Boston Marathon, and they are no ordinary Mom and Pop race organizing group. With 7,811 runners, including many who run professionally (like for a living! ), this was the largest event I'd ever run in. In what sport other than running do I have the opportunity to compete against the most elite athletes in the whole sport? The B.A.A. 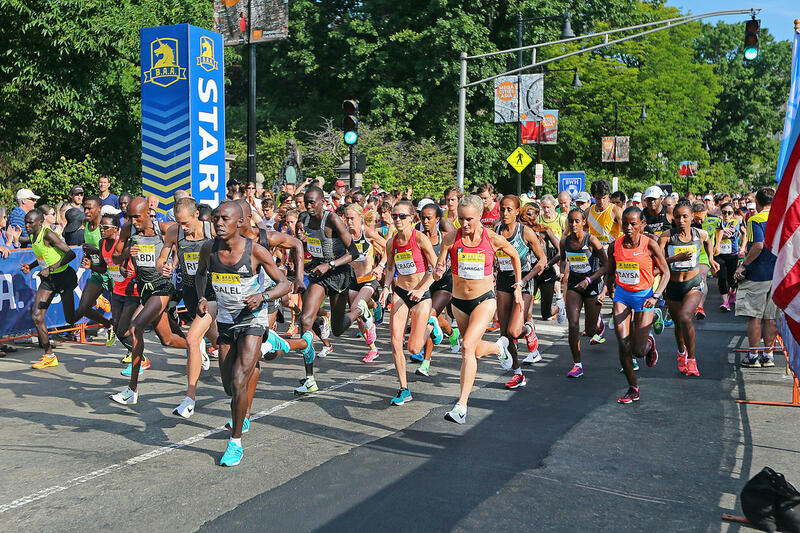 10K is an out and back course in downtown Boston. It starts and ends on Charles Street between the Boston Common and the Public Garden. 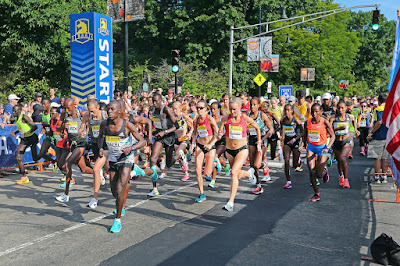 The course travels west up Commonwealth Avenue to the campus of Boston University, where a hairpin turnaround brings runners back toward the Common. This provides a rare opportunity for us human runners to pass by the superhuman front runners blazing their way back toward the finish. There were water stations at each mile and one Gatorade station at Mile 4. Chris and I rode our bikes together from home to the Boston Common. We locked up and walked over to the duckling statues in the Public Garden, where other runners from Slumbrew Happy Soles were congregating before the race. We found my sister, Carly, and paced around for a few minutes, but I was too nervous to stick around for the group photo, so I jogged off to use the port-a-potty and warm up in the corral for a few minutes. It was a hot morning, and I'd decided I wanted as little sweaty material on my skin as possible...but I've never run in sports bra sans tank top before. I felt pretty awkward about it. Moments before the start, I yanked off my throw away t-shirt and tucked it into a garbage bin. There were official signs lining the fencing of the corral to help runners self-seed based on projected pace, but the times were printed so they faced toward the outside of the fence. Most folks were loading in from the front of the corral and didn't have a clear view of the signs, so it seemed we were just trying to make room for one another wherever we could fit. It was jumbly, so I pushed forward as best I could. In effort to ease congestion, the B.A.A. 10K has a "pulsed" start, meaning runners are released in 4 groups over several minutes. Each runner's chip begins timing when he or she crosses the start line, so there is no penalty for starting in a later pulse. 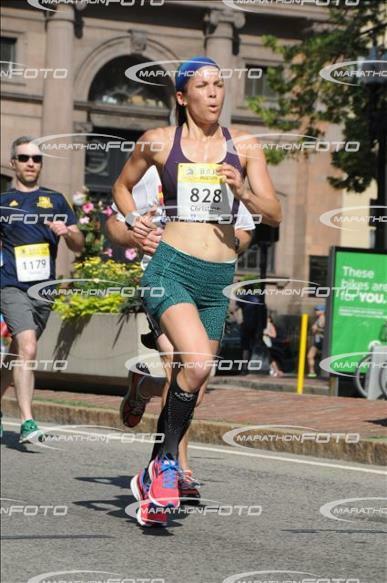 I aimed to position myself to start in the first pulse so I could maximize space and try to keep up with the fast pace set by runners I have no business chasing. As we waited, the elite runners were introduced and a woman sang the national anthem. The first mile of the race was quite crowded. Though the street had been closed off, there were cars parked on both sides and runners dodged around cars, pot holes, and each other to carve out some elbow room. I noted there were both mile markers and kilometer markers on the course, and I fixed my brain on calculating the differences between the two as a way to distract myself from the discomfort of the fast start. I settled in to steady breathing, running with some restraint as I assessed the effect of the beating sun. 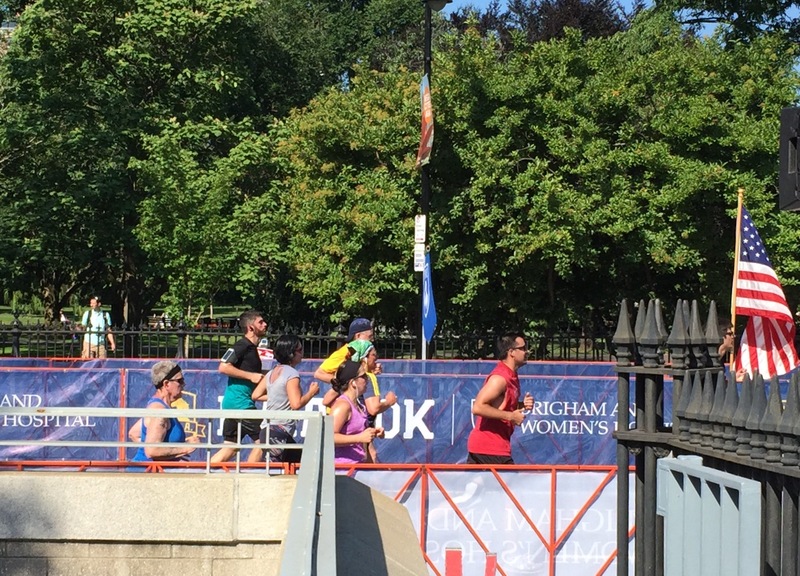 After passing the 2 mile marker, we turned out from the Back Bay neighborhood onto Commonwealth Avenue and began climbing toward Boston University. A man shifted next to me. This was the out-and-back section of the race where we'd glimpse faster runners on their return leg. "Have the front runners already passed?" he asked. I pointed to the flashing lights of the pace car coming down the hill ahead. Holy cow! They were blazing. First the men passed by, then the women. 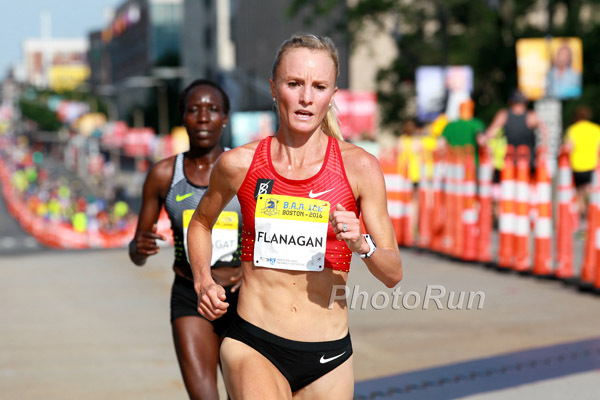 Hometown hero Shalane Flanagan, who is headed to the Rio Olympics next month to represent the USA in the marathon, was leading the pack by a stride. I whooped for her. "You know, there are only a few cones between you and the elites," my new companion observed. "You could totally Rosie Ruiz it." I smirked and he drifted ahead a few steps, but I resolved to keep him in my sight line. Now I had someone to beat! We hit the turnaround at 5K and I was eager to cruise back down the hill. I allowed myself to pick up the pace a little here, enjoying the relief of descent. There was one more small hill as we dipped under the Massachusetts Avenue overpass. We neared downtown and passed a sign that read, "800 meters to go!" I did a quick self-assessment and cranked it up. 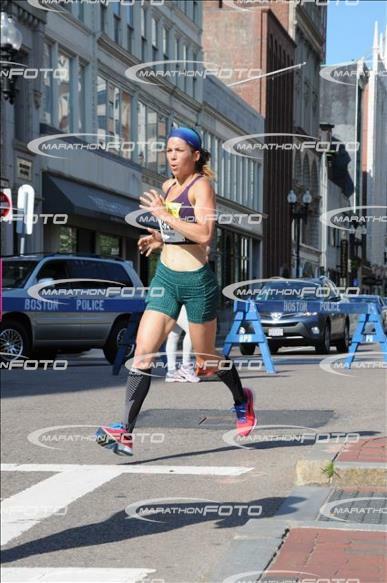 We rounded the corner onto Boylston Street and I judged that I had about 400 meters left. Time to dig in! I caught my Cheat-To-Win encourager, and he shouted, "Great kick!" as I passed. I finished the race in 43:16 for a split of 6:57/mile. Though I'd hoped to run a few seconds faster, it was still a PR and I'm pleased that I remembered how to run hard on a hot day. I might be feeling a little scarred by my recent marathon in hell. After catching my breath, I snagged a water and a banana in the massive, impeccably organized finish area and watched from behind barriers at the finish line for Chris and Carly. Since this was the first ever 10K for both, automatic PRs all around! Carly finished in 59:48, and I couldn't find her at the finish line for a photo. 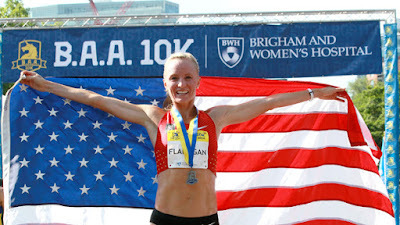 I learned that Shalane Flanagan had gone on to win the race - and set a new American Record. 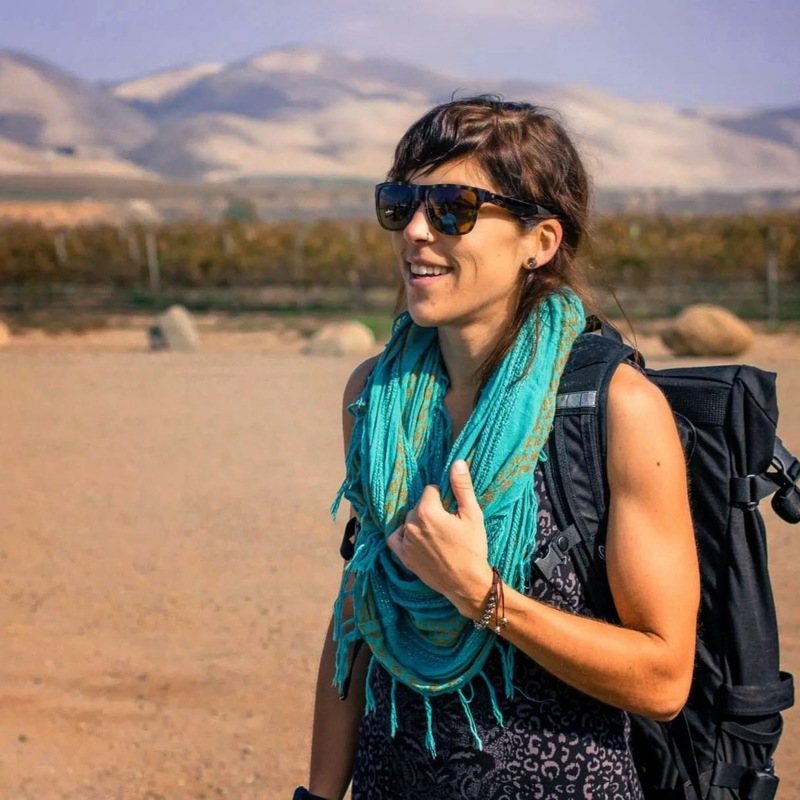 She finished in a mind-blowing 30:52. Daniel Chebii of Kenya won the men's race in 27:55. We snapped a photo with our new medals, pocketed some free snacks, and picked up our t-shirts. 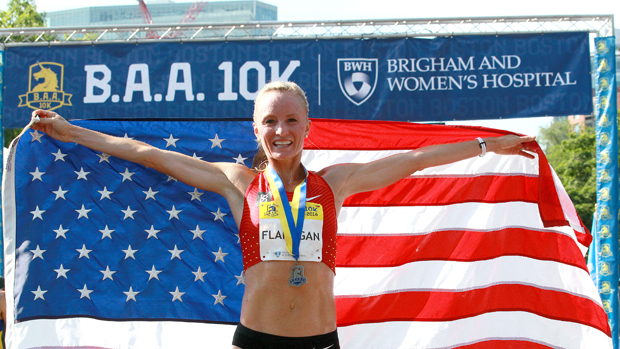 Check out this highlight video of the women's race from the B.A.A. website. Like I said...in what other sport can I just casually sign up online to bike down the street and compete against the most elite athletes in the world?! This was a really cool experience. Go Shalane! I'll be cheering for you in Rio.